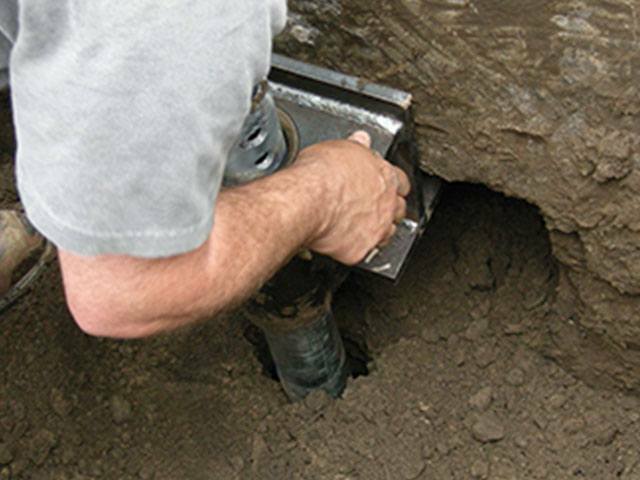 Helical Piers are a common repair solution used to stabilize home foundations. Helical Piers are drilled down into stable soil or bedrock which permanently stabilizes your home and lifts it back to its original position. Portable equipment is used during installation so there is minimal disruption or mess to your property. Restore your property value and peace of mind. To find out more about Helical Piers and if they are the best solution for your foundation problems, scheduling a FREE onsite inspection with one of our Foundation Experts. A new landslide susceptibility map of Oregon helps identify areas that may be at risk for future landslides. State geologists say the map will help Oregonians better understand the potential hazard in their own communities. It will also help them prioritize areas for future in-depth mapping and study of landslide hazards. More than a third of Oregon's land has very high or high landslide susceptibility. Very high susceptibility means the area is an existing landslide. High susceptibility means landsliding is likely. The mapping marks the first time since the early 80s that there's been a look at the landslide susceptibility of the entire state. "Studying landslides helps Oregon understand where taking action might decrease the risk to people, buildings and infrastructure," said Bill Burns, engineering geologist for the Oregon Department of Geology and Mineral Industries. The new landslide hazard information can also help Oregonians protect themselves and their property. State geologists say by knowing which areas are susceptible to landslides, people can identify places to avoid during extreme weather. It can also help people determine whether hiring a geotechnical professional to evaluate their property may be necessary. Industry-Leading Products Helical Piers are hot-dip galvanized to protect against corrosion. The pier shaft is round, which is the strongest underpinning solution design, offering you a strong and permanent solution. Restoring Value to Your Home The patented Helical Pier System exclusively from TerraFirma Foundation Systems permanently stabilizes your home's foundation and in many cases can lift your home back to level. Easy, Low Mess Installation TerraFirma Helical Piers can be installed quickly, without disrupting your schedule. And installation doesn't require digging, saving you the hassle of cleaning up piles of dirt and debris. Tried, Tested and True Solution The piers are tested by the International Code Council, ensuring that you receive only the best foundation repair solution. The footing is exposed and prepared for the bracket. Steel piers are mechanically "screwed"
into the soil using small construction equipment. The piers are installed to appropriate depths and capacities. 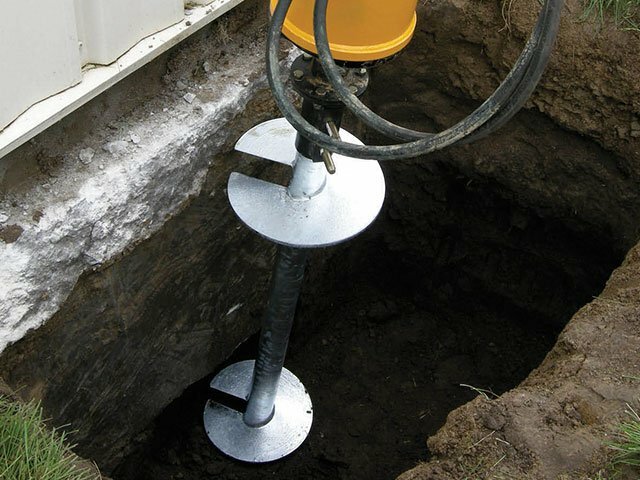 is connected to the helical piers and attached to your foundation's footing. The weight of your home is then transferred from the original, unstable soils, through the piers, to the competent soil or bedrock. 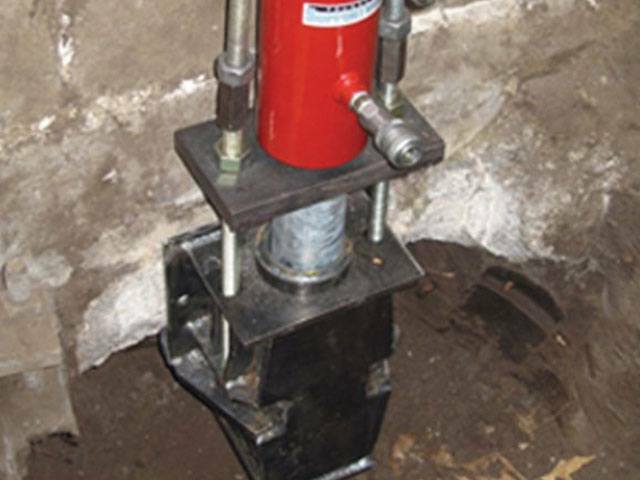 The system is uniquely designed to potentially lift your home, making TerraFirma's helical piers the best solution for complete foundation stabilization and lift. 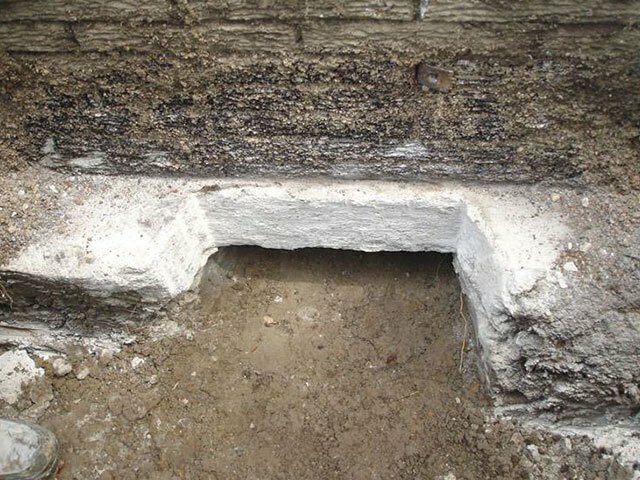 We're here to help you find the perfect solution for your home, and find out the source of your foundation problems. Rest assured that the TerraFirma Foundation Systems exclusive Helical Pier System will immediately stabilize your settling foundation and will permanently protect your home against any further movement. Our Helical Piers come with a 75-year warranty from TerraFirma.